Its name derives from the Ovambo e Tosha and conserves 22 270km2 of semi-arid savannah, including the pan itself. The pan temporarily fills with water during wetter summers, attracting breeding flamingos, pelicans and other waterbirds. The more common mammals are springbok, blue wildebeest, gemsbok, red hartebeest, greater kudu, giraffe, steenbok, black faced impala, and the Damara race of Kirk’s dik-dik. Following large scale hunting by European hunters, the first German governor Von François introduced hunting laws and made hunting permits obligatory. In 1907 Governor von Lindequist declared one fourth of South West Africa a nature reserve. The Etosha Pan and the surrounding area were included. The fauna regenerated rapidly. 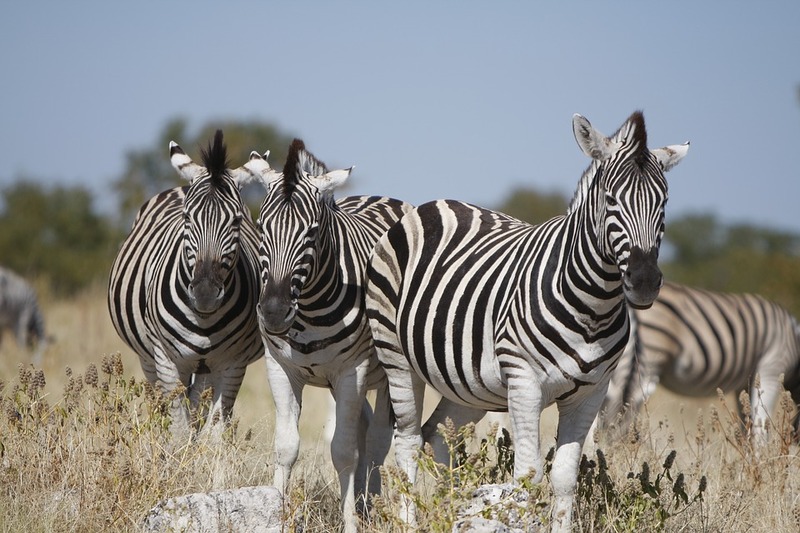 The Kaokoland was incorporated into Etosha making it one of the largest reserves in the world. The Odendaal Plan based on the homeland policy of South Africa removed Kaokoland from Etosha in 1972. The Park is entirely fenced similar to the South African parks; Kruger, Zululand etc.